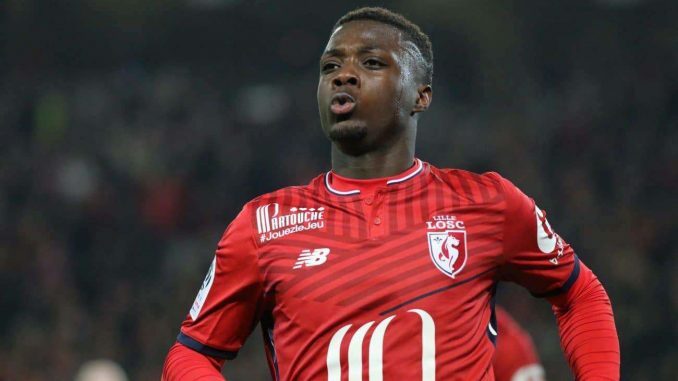 The London-based giants Arsenal have pinpointed Ligue 1 side LOSC Lille star Nicolas Pepe as a priority signing, according to recent reports. The Ivory Coast international star has caught the attention of several sides from across the continent following his blistering start to the campaign in Ligue 1. Pepe has been heavily connected with a switch to Arsenal and it looks like the club are intent on moving for the technically gifted winger. According to Mercato365, as quoted in a report from website Calciomercato.com, the north London outfit are prepared to make signing the LOSC Lille star their primary objective. The 23-year-old star has enjoyed a productive season with his club so far. From 15 starts in the French top flight, Pepe has netted nine goals and has registered five assists. This form appears to have drawn the interests of Arsenal, who continue to be named as admirers for the player. The Gunners have several attacking variants within their first-team squad but as Nicolas Pepe continues to shine for his side, it appears as though the hunt for his signature is heating up.